Well, it is done! Yes, it is over and today we are nursing sore feet and aching backs as we recuperate from a day of fun and hard labor at the “Big Parking Lot Sale” held Saturday. The day started very early and the weather was absolutely perfect for the event. 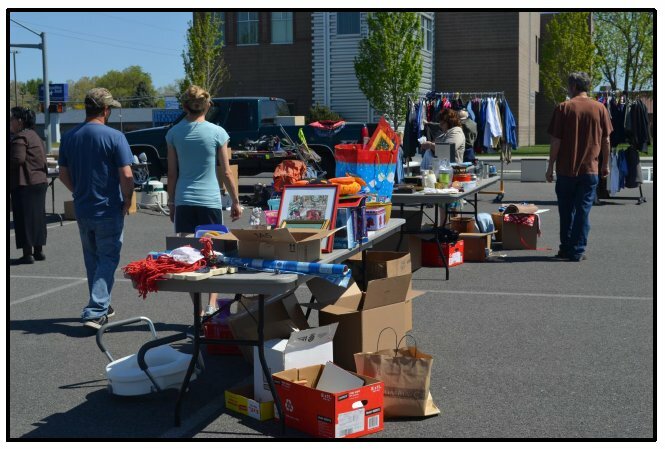 We had over 15 “Friends” donate hundreds and hundreds of items providing us with plenty to sell. The customers were arriving even before we officially opened. These were early signs that the day would be a huge success. And it was a huge success! Of course, a special thanks goes out to those who spent the long day on their feet pulling in the cash, dealing with tough garage sale customers, lifting, carrying, and then the dreaded “end of the day clean up/pack up work” the very tired workers had to do. So many did so much. The Riverview United Methodist Church donated the parking lot. “Friends” donated printing, food, expertise, transportation, labor, photography, and much more. Many customers were surprised to learn that all this was generously donated. Many items were very high quality and not usually found or sold at such great prices. So strike up the band and let’s get the fireworks and the celebration going. Can we have a drum roll? Our unofficial total (some sales are still pending) is $1,500 plus. The target for this fundraiser was $1,200-$1,300. The $1,500 plus will be added to the funds we have already raised and will complete our commitment to raise $2,500 for the new position. This is amazing because there were many yard and garage sales going on all around us. Hold on! There is more good news. Several cash donations also have come in totaling $280 that will be added to the Saturday total. We officially unveiled our new banner to show off to our customers and “Friends” Saturday. The banner displays a spirit of partnership between two countries united by the commitment to support the Learning Center, their kids and adults. Also, we provided information cards to the customers explaining the reason for the “Big Parking Lot Sale”. This together with the banner helped customers understand why we were raising money. In many cases, this helped us increase our revenue. For me, it was “pure joy” to personally talk to customers and share our story. One customer was from Guatemala and had traveled extensively within Costa Rica. He was very surprised to hear our story about “Friends”. As a result, he purchased a couple items and donated extra money as well. There were several extra donations from customers made under similar conditions. Customers treated to free lunches. 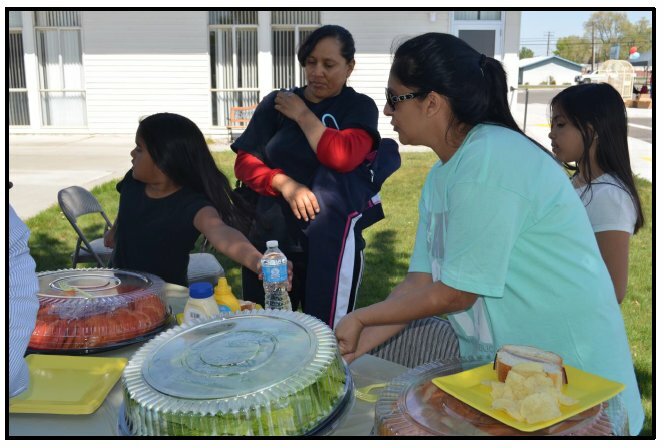 At noon time we invited customers to share a free lunch with us and we enjoyed seeing the kids go for the sandwiches, chips, and drinks. Many positive encounters took place with customers as they learned all of the income from the sale would benefit the Learning Center. I do not believe many customers have been treated to a “free lunch” just for shopping at a yard or garage sale. Do you think we are a different somehow? Of course we are! As I said at the very beginning…It is done! We once again managed to do something very unusual and the results are clearly positive. This was a very big mountain for us to climb and it has taken a lot of time and effort. I could not be more proud of you and I appreciate your faith and support in me. This is not going unnoticed. 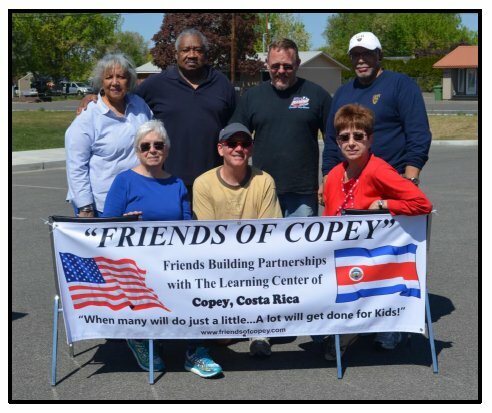 The community of Copey soon will know what we have achieved and many other countries who quietly visit and watch this Blog almost weekly will know. 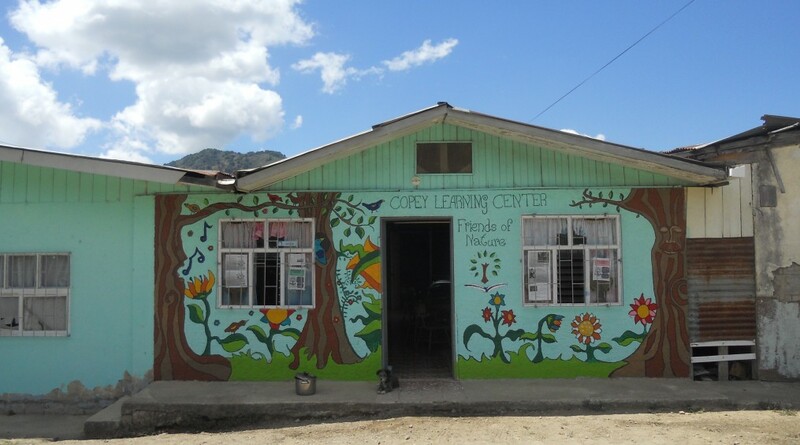 Most important, the children at the Learning Center will benefit as a result of our efforts. A final total will be given later this week and we will then turn our sights on to other important initiatives we have interest in. So stay tuned in. Keep praying because it works. Keep positive thoughts flowing because it works. And keep an open mind and share any thoughts and ideas you may have. This week’s race was held in Bristol, Tennessee (near my original home) and was completed but shortened due to rain. You may recall that I urged Jeff last week to get on it and finish in at least the top 3 this week. In previous weeks he has finished 10th, 9th, and then 7th. Today, he finished 3rd. Great job Jeff. Next week, let’s bring home the checkered flag for Pete’s sake. What are you waiting on?